I can’t believe that I’m finally writing this, but there’s something that I need to get off my chest. It isn’t easy to talk about, but here we go. I’m…I am…how do I say this...*deep breath*...I’m addicted to Waitr. It started several months ago. First, it was a sushi roll from Asia every two weeks or so, then it was quesadillas from Casa Manana. Not long after I realized that I hadn’t cooked in over a month and my fridge was (still is) filled with take-out boxes. I suppose the problem is that I have so many favorite restaurants in Lake Charles. I mean, who could blame me? The food here is GOOD and I have the menus around town pretty well memorized. I’ve heard some folks complain that even cheap meals can get expensive if you include a tip and the $5 delivery fee, but there are some steals if you look in the right places. So without further ado, here are some of my favorite deals in town for less than $20. This is one of my favorites. There’s a certain restaurant everyone knows in town with some of the greatest sandwiches on earth and unfortunately, they don’t offer Waitr orders. 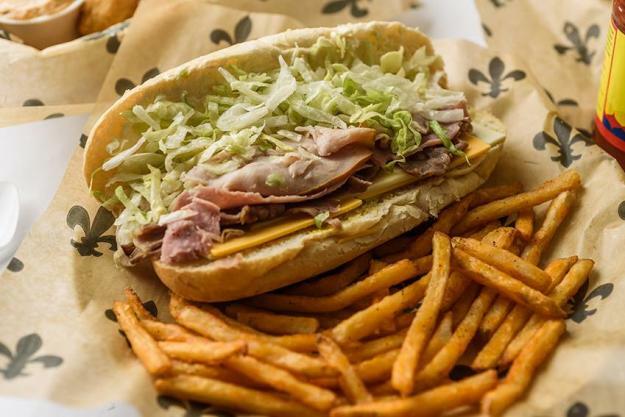 Throwback’s Lake Charles offers a near exact replica of that sandwich along with a soda and fries for $9.95! After tip and delivery fee you can get this beauty for around $18. Some restaurants in town offer deals specifically for Waitr customers. Tony’s has an Express Pizza & Salad combo for $7.95! It’s the perfect amount of food at a price that makes couch potatoes like me very, very happy. After delivery, you’re looking at paying about $15. Some people may think ordering hot dogs is a weird thing to do. Those people are wrong. I put a couple dogs and a bag of Zapp’s right up there with being as American as apple pie. 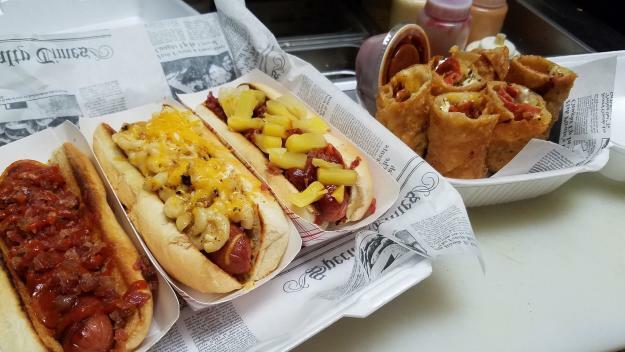 Weiniedogs allows you to mix and match their awesome variety of their awesome hot dogs and a side for $7. When it was all said and done, I paid $15 and got to feel like George Washington crossing the Delaware. Sushi can get expensive, but it doesn’t have to be. 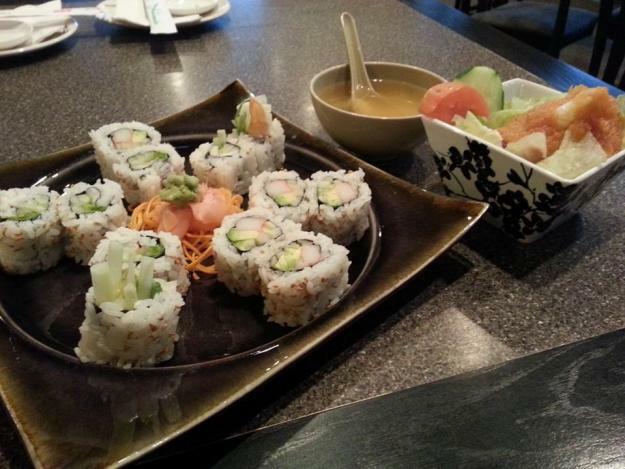 Miyako has classic sushi rolls at great prices. I got a quality tuna roll (add cream cheese for a dollar because cream cheese is delicious) and a miso soup for under $7. Great delivery sushi delivered to my door for right at $14…boom. So, there you go. Awesome food in Lake Charles for under $20. There are plenty of deals out there and I plan to share more with you. These were just a few from the past 2 weeks. I’m going to continue to eat my way through this city from the comfort of my couch and if we’re being honest here, it’s because I pretty much can’t stop. I love my couch and I love the food in Southwest Louisiana. Download the Waitr App, here.